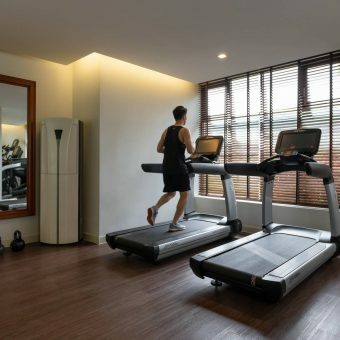 Because Pullman knows fitness and relaxation are antidotes to the pressures of today’s busy lifestyle, the resort provides plenty of opportunities for both. The Pullman Fit Lounge is just a short hop from the central pool area. In it are free weights, yoga mats, stability balls and the latest cardio machines to help strengthen, tone, trim and relax. On the roof, gurus guide guests towards inner balance during regularly organised yoga sessions. And joggers can enjoy their daily run through the gardens and rice paddies of the resort along pastoral trails. Where the road ends and the countryside begins, hidden away from sight and sound, the Pullman Spa is a realm of relaxation. Individual treatment chalets invite serenity-seekers to get away from it all. Treatments using Ytsara products cleanse, buff and revitalise. Massages soothe or invigorate. With such an extensive menu and idyllic setting, the Pullman Spa is the place to be pampered in Luang Prabang.